"Call for Artists: SKETCH IT OUT Exhibition"
APW Gallery in NYC, presents the "Sketch it out exhibition, a international juried exhibit of art on paper. 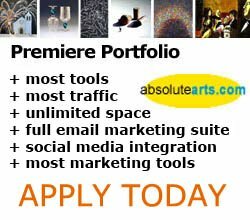 Open to artists worldwide. Entry fee is $50, and each artist can submit up to 5 pieces of 8.5� x 11� artworks on paper (all submissions will be on display at the gallery.